In case you haven't heard the news thundering through the ether Godspeed You! 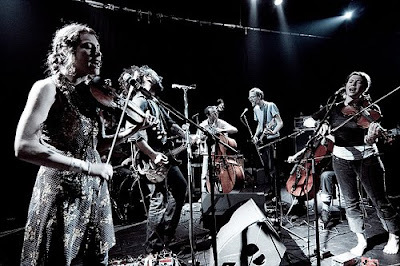 Black Emperor announced in April that their hiatus is over and they would be "reuniting" and curating/performing at ATP’s Nightmare Before Christmas 2010. In addition to that show the Canadian Post Rock gods revealed that they would do a UK tour and play in 9 "American Towns." It seems that the lucky limey bastards in the "mother country" are up first. Still no word on when and where the US dates will be, but we do know that Godspeed You! Black Emperor’s booking agents The Windish Agency previously listed the band’s availability as January 2011. There may be a short hiatus in posting for Idol Threat when the US pre-orders are announced, I may destroy my laptop from the sheer force of my enthusiastic clicking.